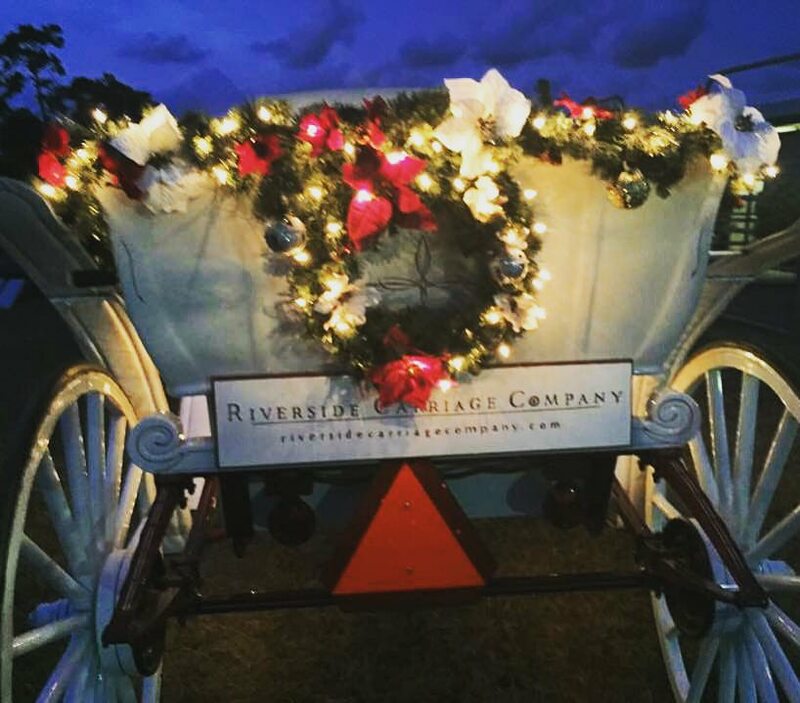 Come enjoy some Christmas magic as we stroll thru the beautiful lights on a private carriage ride. With a cup of hot chocolate and cookies in hand and the sound of clipping clopping of horse hoofs and sleigh bells this is sure to be a Christmas experience to cherish. Who knows, it may even become a new family Christmas tradition! The Space Coast Lightfest is a community event run by the youth and volunteers of the Boy Scouts of America in the Central Florida Council.. 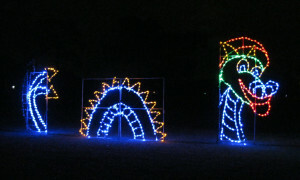 It is a family oriented celebration featuring shimmering lights and dazzling animated displays . The 1.1 mile long park is transformed into a winter wonderland filled with hundreds-of-thousands of lights. 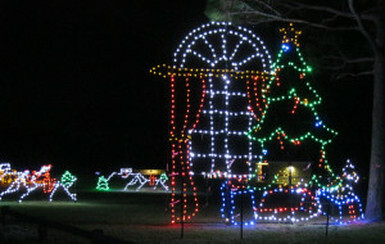 Experience the wonders of the season up close as you journey through the twinkling displays that thrill young and old! 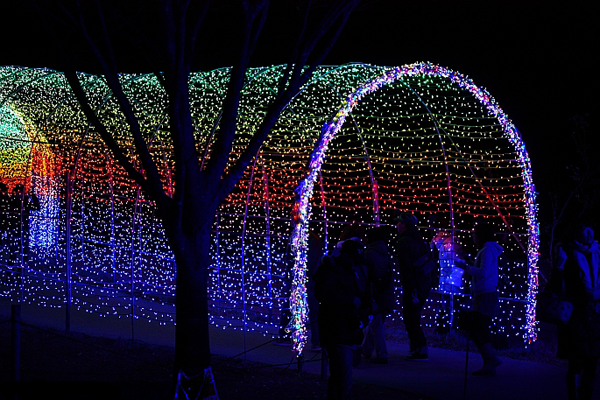 The finale is the 200 foot long Light tunnel with over 30,000 bulbs that completes your experience in a pulse of color. Our carriage holds either 4 adults or 2 adults and 3 children. All prices include entrance into the festival which goes to the Boy Scouts of America. Follow Leisure Way all the way to the ticket booth. 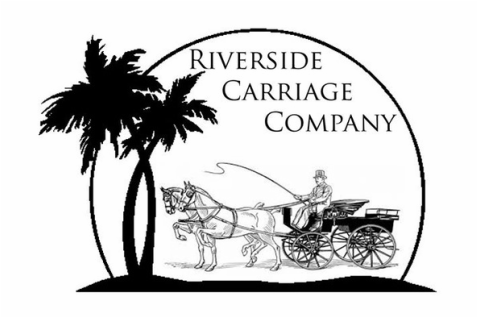 The carriage rides will leave from one of the barns at the park. Please enter thru the main entrance , let the greeters know you are there for a carriage ride and they will direct you in the right direction. Any more questions about this event please feel free to contact us! We look forward to hearing from you!